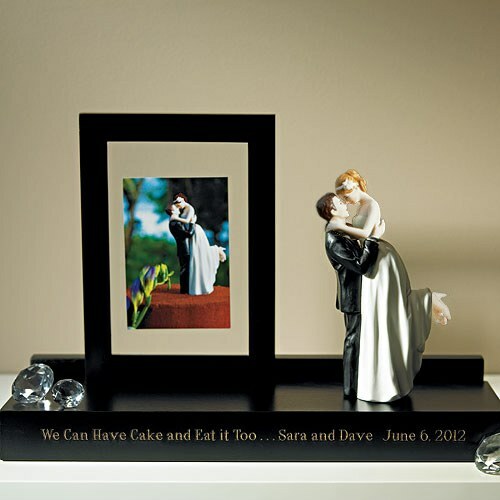 Great Keepsake where you can display your wedding topper and picture. It comes with floating style photo frame which rests on solid wood base. The display can be personalized with a message to make it more special. 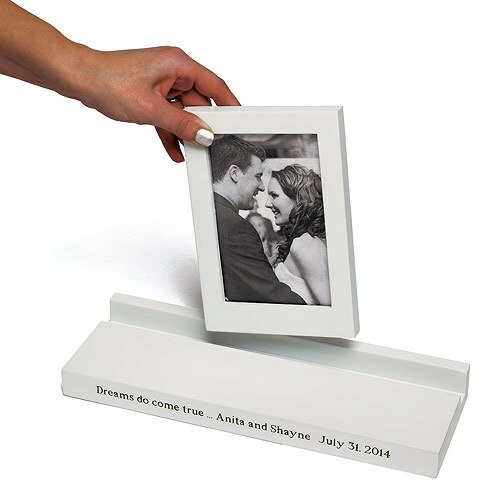 • With Moveable Floating Style Photo Frame. Frame able to accommdate photo up to 9 x 14 cm (3 1/2″ x 5 1/2″). Does not include cake topper.